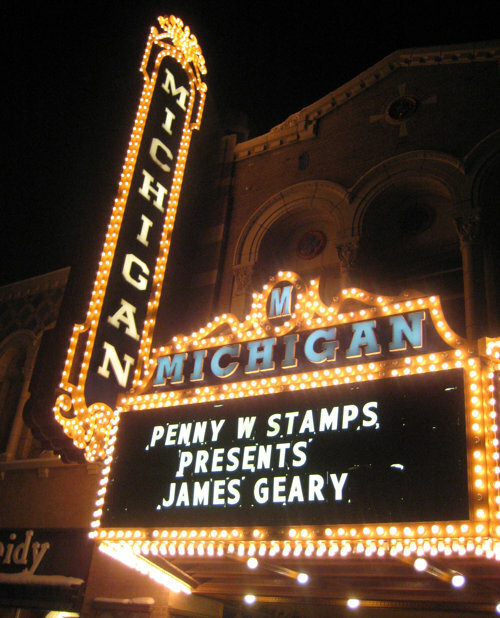 You can see the entire Penny W. Stamps event here on YouTube. Aphorism enthusiast and author James Geary waxes on a fascinating fixture of human language: the metaphor. Sadly, the fora.tv archive is no longer online, so the links below no longer connect to the videos. Together with Tim Crane, director of the Institute of Philosophy, and aphorist Simon May, I organized a one-day symposium on aphorisms and philosophy at Goodenough College, University of London. Poets, professors, philosophers, psychologists and comedians—all of them aphorists—from Europe and the United States gathered to discuss the aphorism as a bright, incisive way of grappling with the big questions of life—and to celebrate the form as just the thing if you hate ideologies but love ideas. Participants included Stephen Clucas, reader in Early Modern Intellectual History at Birkbeck, University of London; Friedemann Spicker and Jurgen Wilbert, co-founders of the German Aphorism Convention and the German Aphorism Archive; Philippe Moret, author of Tradition et modernité de l’aphorisme; Sami Feiring, chairman of the Aphorism Association of Finland; film-maker Boris Mitic, who chronicled the Belgrade Aphoristic Circle in his documentary Goodbye, How Are You? ; Don Paterson, Scottish poet and aphorist; James Richardson, American poet, aphorist, and professor of English and Creative Writing, Princeton University; Fulvio Fiori, Italian author, playwright and aphorist; and German psychologist and aphorist Bert Hellinger. Philosopher Sir Roger Scruton, explained why aphorisms are like stock cubes. Simon May, college research fellow in Philosophy, Birkbeck, University of London and author of The Little Book of Big Thoughts, highlighted the need for aphoristic wisdom in an age of declining religion. The aphorisms of Marie von Ebner-Eschenbach, plus some of my aphorisms and a brief history of my foray into fortune cookies. For an example of how I deployed my fortune cookies at poetry readings, see my 1987 appearance at Larry Blake's. In 2002, I was one of the regular hosts of BBC 4’s short-lived The Talk Show, a live arts, culture, and science discussion program. A panel discussion focused on some of the themes addressed in my earlier book The Body Electric: An Anatomy of the New Bionic Senses, with artificial life researcher Steve Grand and artist Brian Eno.